In 2 Timothy 3, the Apostle Paul was writing to Timothy who was the pastor in Ephesus. We know that 1 and 2 Timothy are connected to Ephesians because Timothy was the pastor. It seems there were these naive women they were inviting false teachers in their homes. Women that had already been saved. Women that already had contact with this church. Women that were probably members of the church. All of a sudden, they get caught up with these spiritual fads. The teachers called themselves truth, and the women started to invite them into their homes and to entertain them. My purpose today is to ensure that we are wise women and men, not naive. Men and women of the Word. Let us never invite these false teachers inside our homes by the click of a remote to deceive us. This is hands down the most dangerous and diabolical scheme ever. If I were a demon at the gates of hell, I would be giving my fellow demon a high five. This is a home run for hell because it’s perpetuated by someone who the world has grown to love and trust. You know, it’s one thing for Tom Cruise and John Travolta to believe in Scientology, and Madonna’s into Kabbalah, and Shirley MacLaine had a past life. They were small potatoes. But Oprah? She used to have 15 to 20 million viewers a day. What makes this so dangerous is that she probably thinks that she’s doing a good thing. Oprah’s thinking is to share her favorite things. She just thinks that this just happens to be one of them so she wants to share her favorite things of the world. All of this is repackaged lies. I’m not an Oprah hater. I really do not believe she realizes how deceived she is. This new age thing is really very old school. 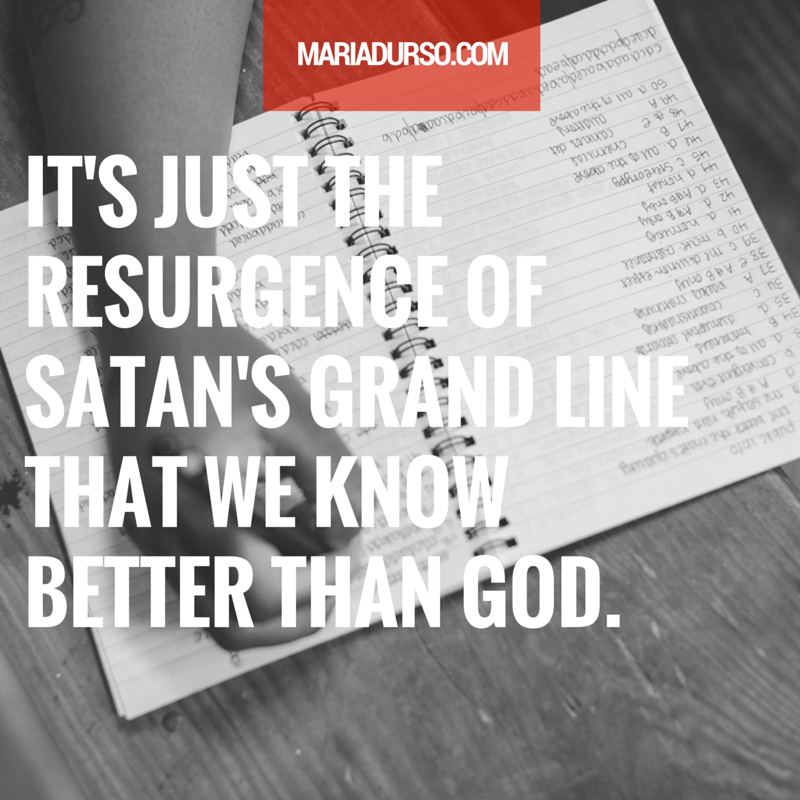 It’s just the resurgence of Satan’s grand line that we know better than God. The new age system and their belief system claim that they’ve been enlightened. They say their minds are opened. We’re the ones who have been enlightened, right? The light of Christ has entered in us. We have no light a part from Christ. Next week, you’ll learn why Jesus is the answer for men and women seeking to live by the Word.